Sunflowers convey a striking and attractive appearance, adding color and diversity to any garden. These visual attributes, however, only scratch the surface. The very health and vitality of a garden are strengthened by the presence of sunflowers. They create root channels for successive plants to grow deeper into the soil. Also, they provide shade cover for vegetables that require limited sunlight. In this article, you will learn how to plant sunflower seeds. Best of all, sunflowers ward off pests like aphids that threaten flowers. 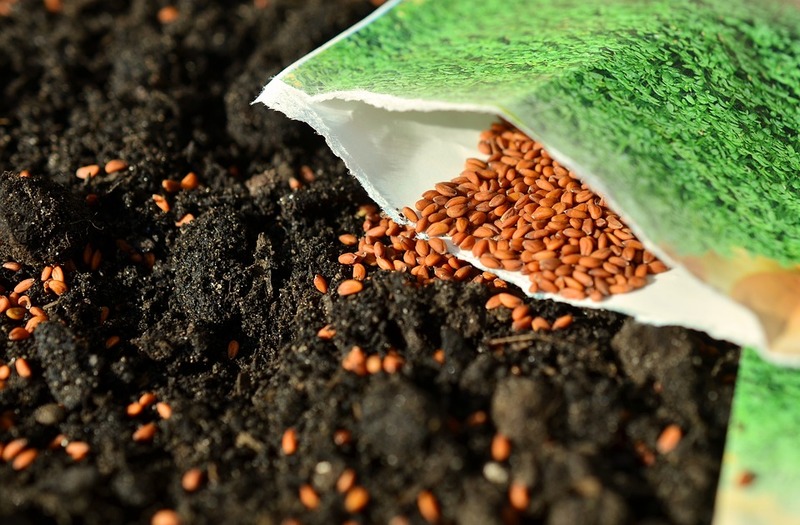 Yielding health-promoting seeds that are rich in nutrients, these plants are well worth including. Equally worthwhile is to know how to plant sunflower seeds with success. Mammoth- (considered the giant sunflower) which can grow up to 12-feet tall. Also, it needs proper row spacing of 2-feet apart when planted. Autumn Beauty- will grow with a combination of purple, bronze and yellow petals. It can grow up to 4-feet tall which makes its stem perfect for floral arrangements. Moulin Rouge- has dark red petals and is known for being pollenless. Teddy Bears- fluffy sunflowers that need row spacing of 3 to 4 seeds apart. Seed heads look like large powder puffs. A common or wild sunflower has the scientific name Helianthus annuus. This flower is the common source of sunflower oil. The oil has numerous benefits such as fighting diseases and helping with skincare. The sunflower oil is also thought by some to help prevent cancer. Furthermore, unshelled sunflower seeds are considered a snack. Sunflowers can also be utilized as a silage crop or an emergency crop. They are easy to grow as long as you have the right resources such as well-drained soil. Continue reading to find out what you need in planting sunflowers. Growing sunflowers is easy with the right resources and location. Here are the steps to planting sunflowers the right way. Some farmers and gardeners have more options about where to plant than do others. That said, if choices abound, there are criteria for picking the right one. First of all, they are called sunflowers for a reason: they do best in spots with direct sun. Requiring six to eight hours of solar exposure every day, sunflowers thrive in regions with longer and hotter summers. However, they have a notable tolerance for cold snaps, as long as these chills occur early in the growing season. They do not, on the other hand, adapt well to strong winds, so planting near a fence or wall is wise. Bear in mind that sunflowers are horticultural sponges, drinking up considerably more water than corn or sorghum, for example. 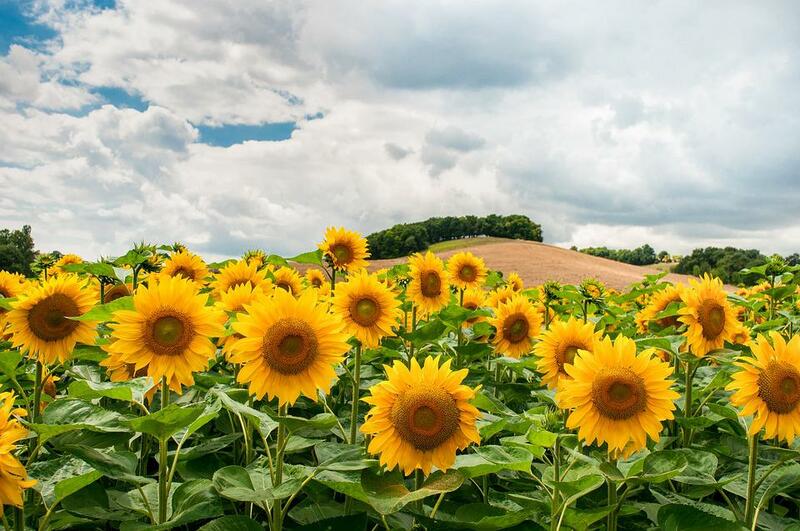 With this in mind, it is prudent to balance protection against the wind with full exposure to rainfall – sunflowers need all the moisture they can get. This is a key principle in how to plant sunflower seeds. As noted above, the rate of moisture transpiration for sunflowers is high. Interestingly, they are famous for drought tolerance. How can this be? In large part, their deep and abiding root systems can draw from moisture in the soil for long periods. This means that – although sunflowers are adaptable to most soil varieties – some ground is more hospitable to excellent growth. Sandy loams and coarse-textured soils usually drain water holdings too quickly whereas finer textures better retain moisture. Realistically, most property owners are stuck with the soil they have. Modest additions will improve its content and help to raise more vigorous plants. Research from around the world demonstrates that most soils do not provide enough of the nutrient boron, for example. By contrast, sulfur and phosphorous are normally more than sufficient. Consultation on how to plant sunflower seeds with a county extension scientist will help in selecting the best plant food that will aid sunflower vigor. Inhibit erosion from wind or flood. 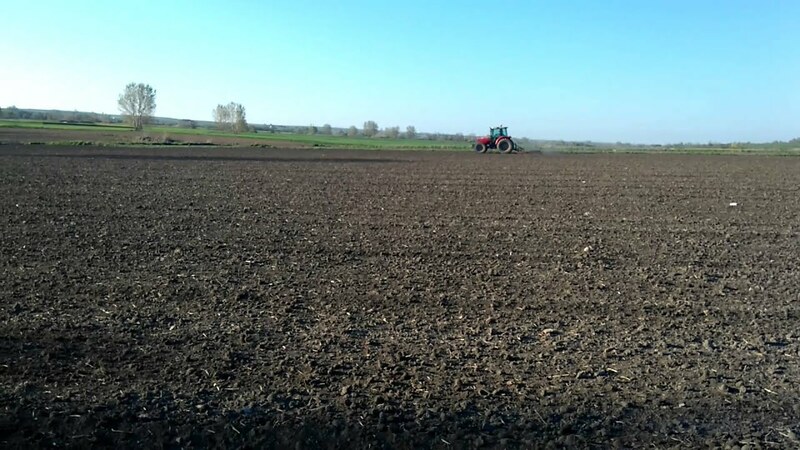 The size of the seedbed determines the most efficient manner in which this preparation is accomplished, ranging from hand tools to tractors. Ordinarily, sunflowers are low-maintenance plants, but they will need extra care and feeding if seeds fail to sprout and develop well. Of high importance is to ensure a proper moisture level for the seedbed before planting. This fosters uniformity in seed germination and emergence through the soil. Some seedbeds benefit from herbicide application after all the weeds are removed. The twist here is that once planted and growing; sunflowers can suppress the growth of weeds all by themselves. Sunflower seeds can survive one or two spring touches of frost, but no more. Learning how to plant sunflower seeds means knowing to wait a few weeks before spring planting. Space them apart by six inches if they are of a large variety. Place them no more than one inch in depth before covering them. 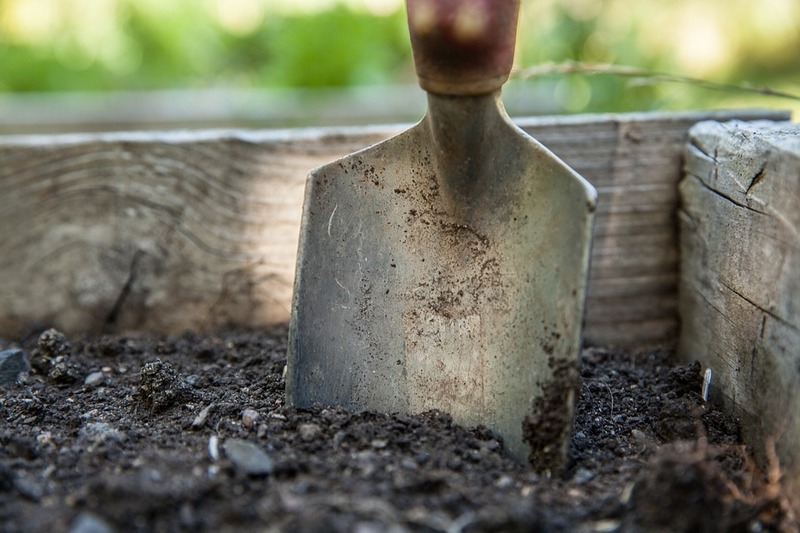 One technique favored by some gardeners is to fertilize the soil at the time of planting, a procedure that will toughen the roots and make them less susceptible to wind damage. Netting is sometimes necessary for the first stages of growth to serve as a barrier against birds. As the sunflowers grow, the netting is removed, and gardeners can cull smaller seedlings, so the larger ones have more breadth for their root systems. Ideally, giant sub-species should stand at least two feet from one another. Forming mounds of dirt at the base of the stems helps the plants to remain stable as they grow taller. Many gardeners marvel that their sunflowers attract no predatory or destructive insects. Just as many growers fret over how to keep these parasites away from their plants. The differences here are not remarkable. Certain variables are in play when injurious bugs show up. For instance, time of year is a factor, since most despoiling creatures – such as cutworms and seed weevils – show up in the hottest part of the growing season. 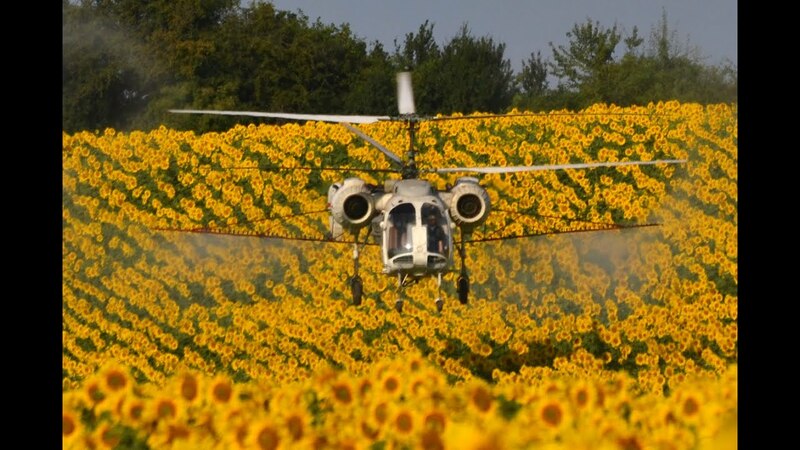 Another influence is the presence or absence of insects that feed on sunflower pests. Some plant injuries caused by insects is barely noticeable while others, such as that done by the root weevil, seriously affect the health of seedlings. This is the challenge of how to plant sunflower seeds. Alternative management regimes include staggering plantings, essentially allowing the earlier seedlings to take the hit. In other cases, deep tillage proves helpful by eliminating the stubble from previous plantings. Timing is very important when it comes to the time you have to harvest sunflower seeds. These are the steps to remember when the time has come for you to finally harvest your sunflower seeds. We know how much time and effort was invested to grow sunflowers. The seeds would naturally fall off the flower heads so make sure to attach a paper or any cover to the flower head to catch those. Wait until it dries. Continue to remove the seeds. The more the seed heads dry, the easier it is to take the seeds out. Although sunflowers have a reputation of practically growing themselves, learning how to plant sunflower seeds helps to raise healthier and hardier plants. True, certain considerations are harder to control than others. Nevertheless, scouting locations, testing soil, carefully preparing the seedbeds and giving the sunflowers their space go a long way to grow plants you can be proud of. If you have any tips, techniques or tricks of your own on how to plant sunflower seeds, do share them with us. Enter your email address to subscribe and receive news and notifications of new posts by email. Is a Natural Weed Killer Really Better? Hey Buddy!, I found this information for you: "How to Plant Sunflower Seeds: 5 Steps, Tips and Tricks". Here is the website link: https://backtofarm.com/how-to-plant-sunflower-seeds/. Thank you.